Only in Australia will you see this. - Fuel Equipment Specialists Pty. Ltd.
Only in Australia will you see this. 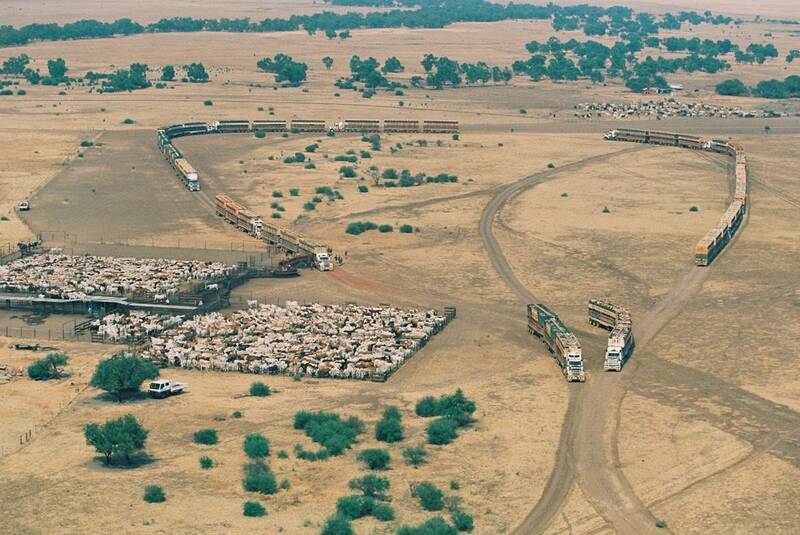 Therefore there are 102 decks of cattle and there would be approximately 28 cattle per deck; This totals 2,856 head of cattle. The cattle will weigh approximately 500kg each. 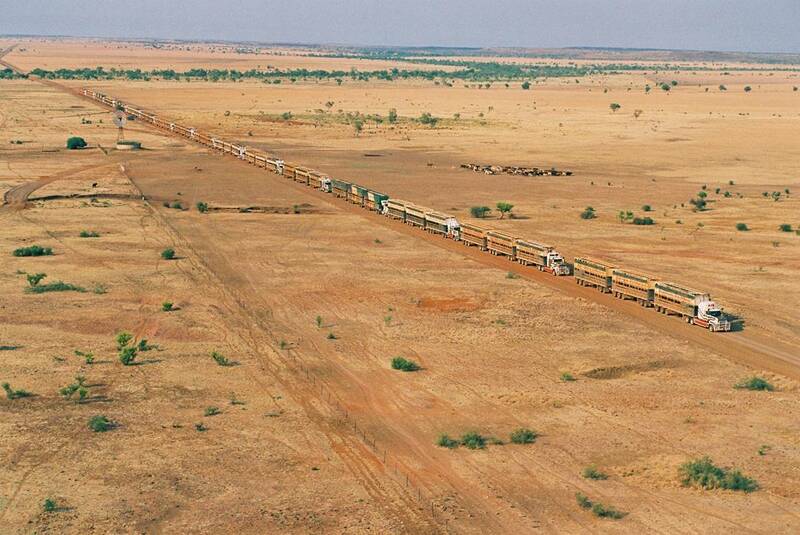 That is 1400 tonne of prime beef on the move. 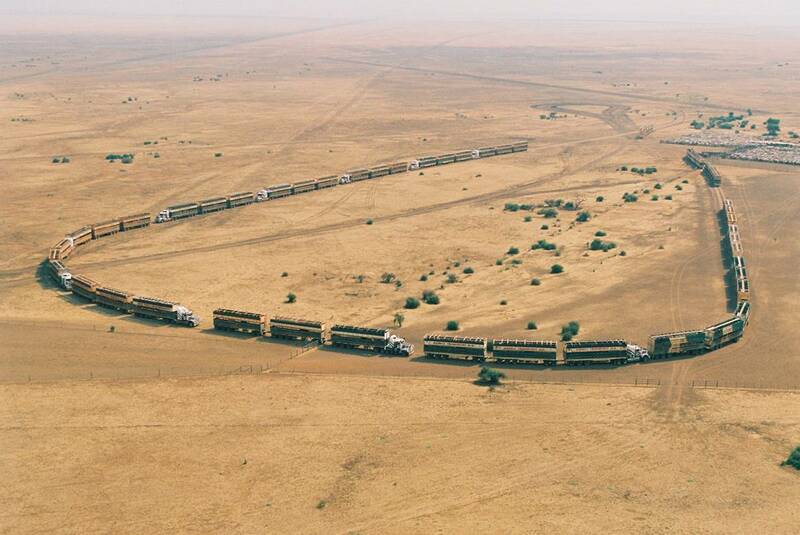 For the 72 trucks there are 4,464 tyres on the road. Assumed fuel capacity of each truck is 900 litres. That is around 15 000 litres to get this train mobile. Retail price of diesel assumed at $1.50/ltr. That is $22 500 approx. Nice fuel bill.